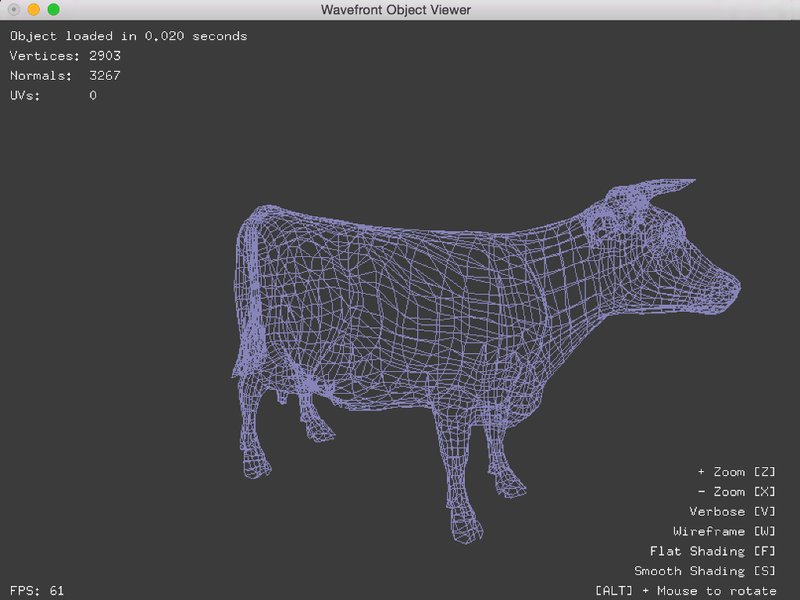 Wavefront Object (.obj) model loading and manipulation libraries and tools that I developed during my degree in Digital Games Development. wobj-viewer/ directory contains a simple Wavefront OBJ model loader and viewer, written in C++ and based on fixed-function OpenGL. It compiles under Linux, MacOS and Windows. A makefile is provided (requires GLUT). Code is fairly well documented and hopefully easy to follow. 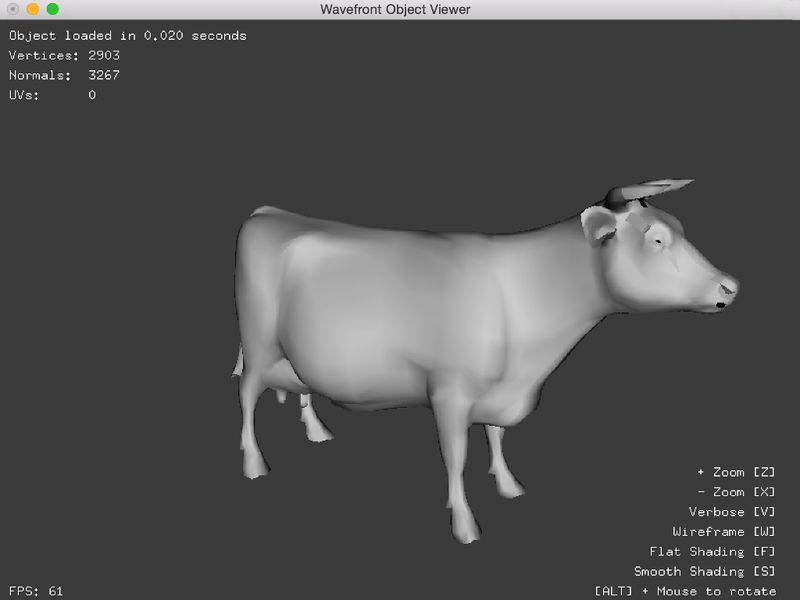 I have cleaned it up several times over the years, but nevertheless, it is quite outdated and not very relevant anymore regarding the rendering techniques, due to its use of legacy OpenGL. 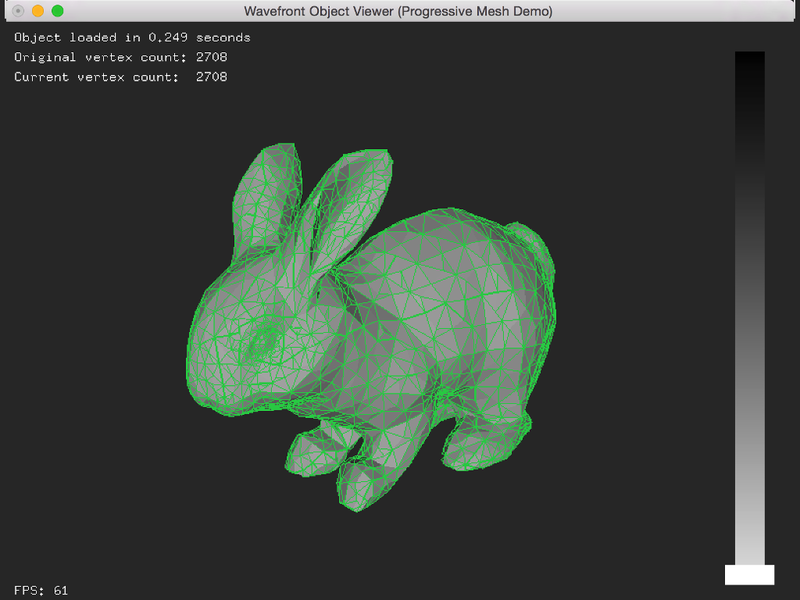 progressive-mesh/ directory contains the same OBJ model loader and viewer plus an implementation of the Progressive Mesh polygon reduction algorithm presented by Stan Melax in his website and GDMag article.